More Sarawak Lowlanders, plus NepNerd Quiz! The lid looks dead on for N. gracilis, but the body reminds me of an amp or raff. 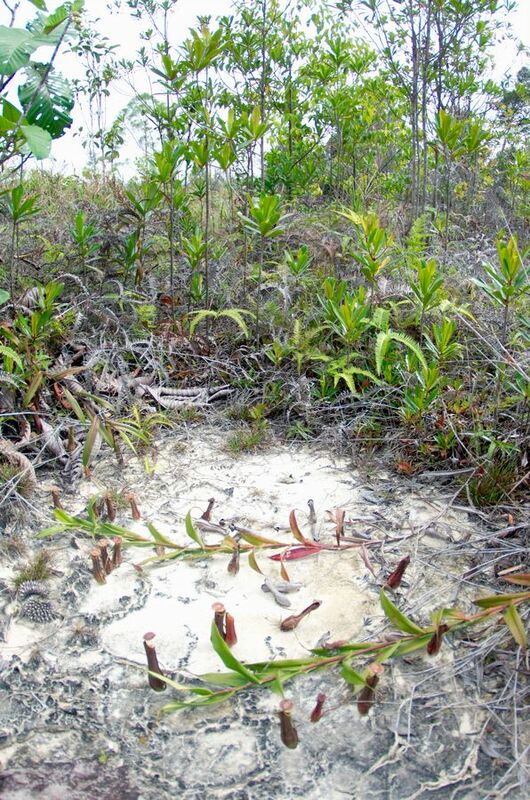 Natch, that is N. x trichocarpa. 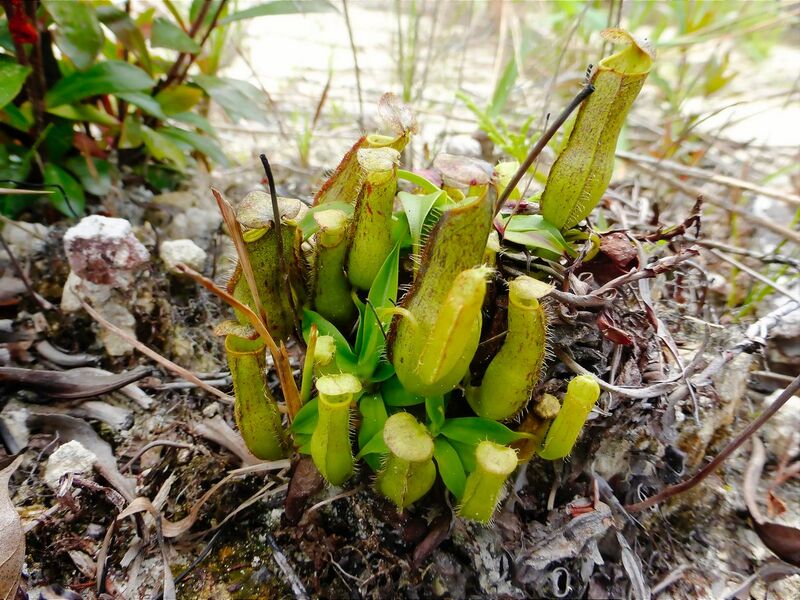 Which is, of course, a hybrid between gracilis and ampullaria, so naturally you see traits of the two in it. Thanks, guys! The yellow upper (image #9) grew from the same plant, by the way. Now, how about these ones? The one on the right looks like x hookeriana. Possible, because thee were raffs and amps around that particular spot. Right? This one, though ... not so sure. Again, raffs and amps were present in the area, but also mirabilis and gracilis. Any takers? Can confirm the top one is a x hook. It looks almost exactly like mine (but with different coloration). Nice work, Hans! I get thirsty just looking at the photos. Distinctive earrings on the pretty lady. 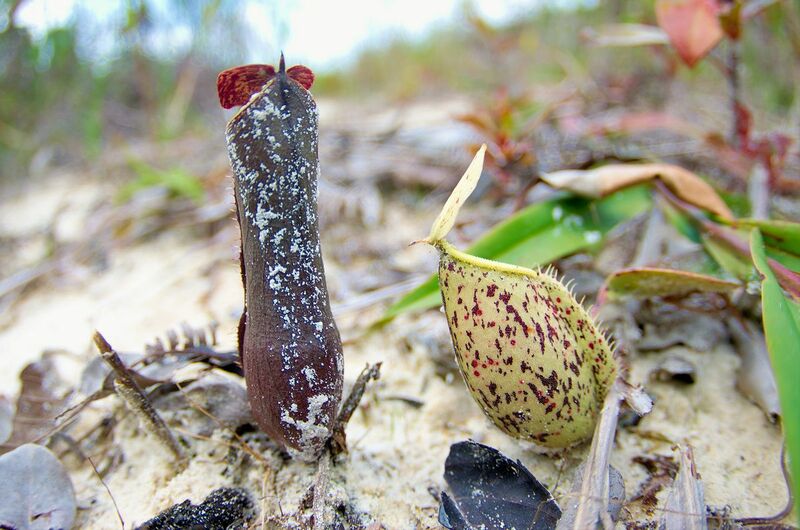 The hybrids between N. mirabilis, N. rafflesiana and N. ampullaria are named N. stewartii. However, I think it is just another N. hookeriana. Thanks very much, guys! 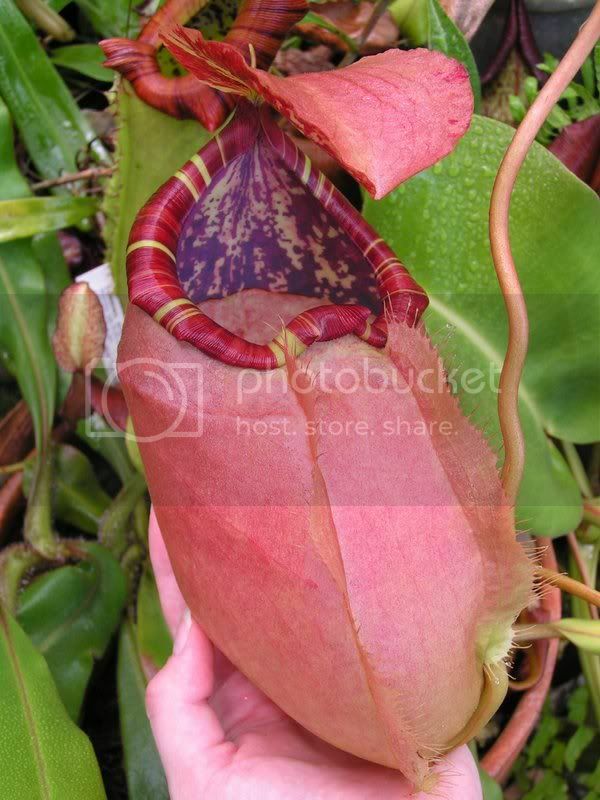 I'm trying to find a picture of an N. stewartii online, but to no avail. Does anyone have a link? PS: Paul - love the Proust quote! I have never heard of the name x stewartii. 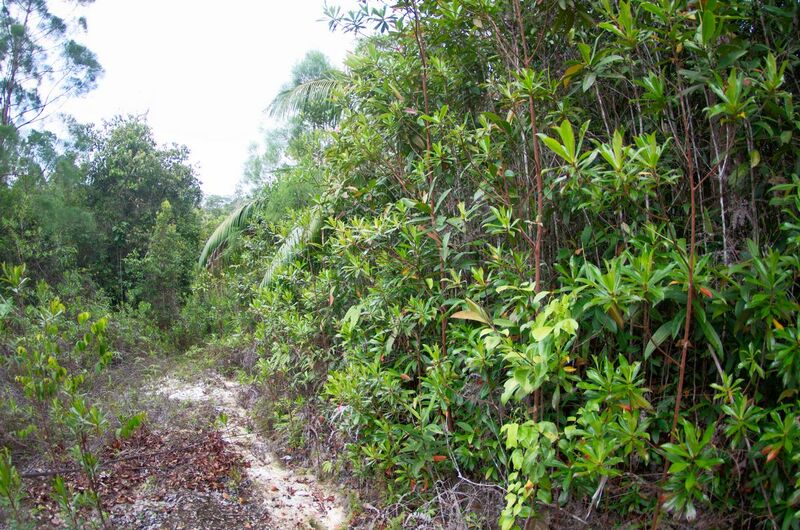 However, plenty of plants have been named from the raff x amp x mirab (in various orders) including but not limited to x morganiana, x coccinea, x lawrenciana, etc. That last pic--would not rule out Kuchingensis (amp x mirabilis). Possibly even amp x mirabilis x amp. We're enjoying the pics, Hans. We're lowland Nep lovers. It's great seeing them in habitat. Hawken, N. x stewartii appears to be the first horticultural crossing of raff amp and mirabilis (1879). The others like wrigleyana, Morganiana, coccinea, etc. came later in the 1880's. Thanks again, guys! This is a classic situation of "the more I learn, the more I realize how little I know". 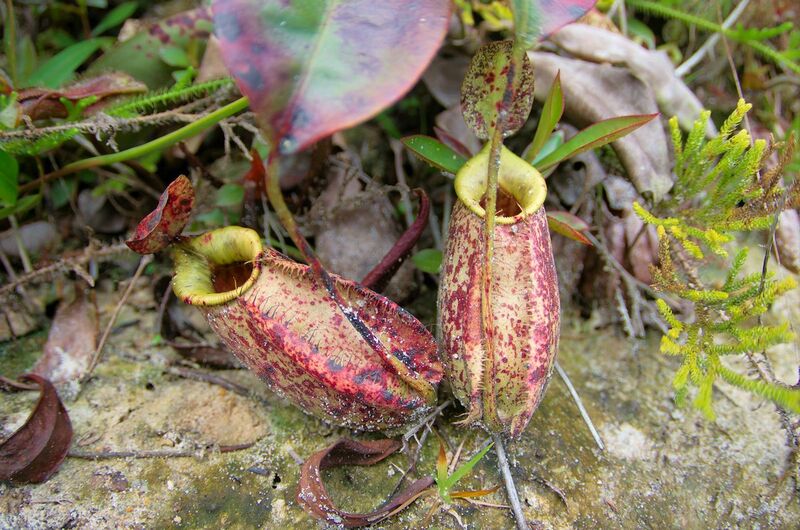 Whatever knowledge about Nepenthes I amassed back in my greenhouse days is next to useless here and now. 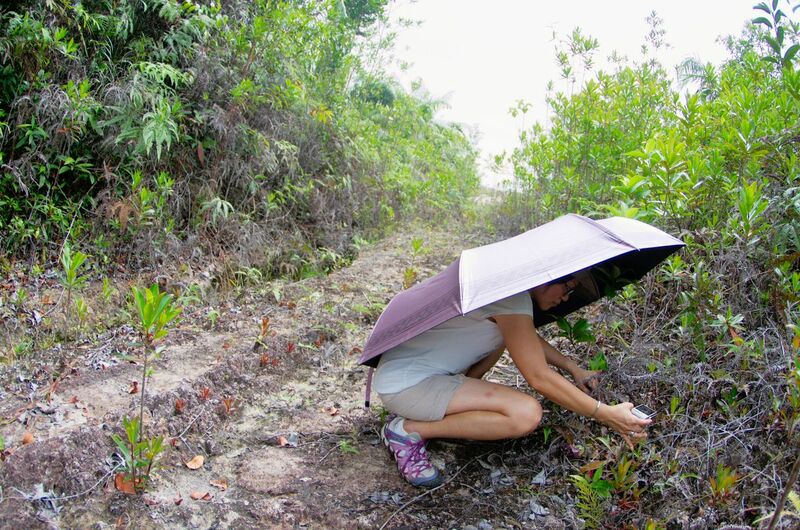 - Why does rafflesiana var. "giant" have purple leaf undersides? 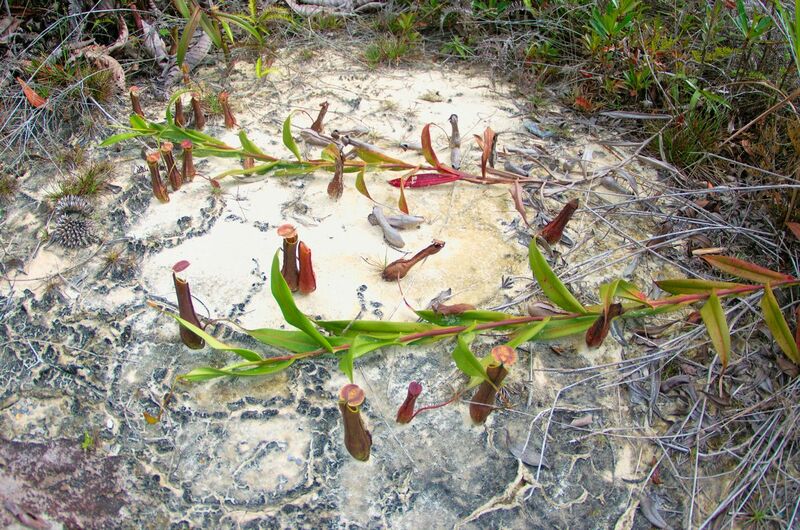 - Why do all these Nepenthes grow in such insane numbers in the wake of human disturbances (road cuts, truck parking lots, construction sites) while they're much less ubiquitous in whatever natural kerangas they actually came from? - How do they stand the brutal, untamed equatorial sun all day, when I couldn't get them to grow with less than two layers of shade netting on my greenhouse? - And why do I suddenly care so much about them again, after abandoning them for eight years in favor of venomous reptiles? 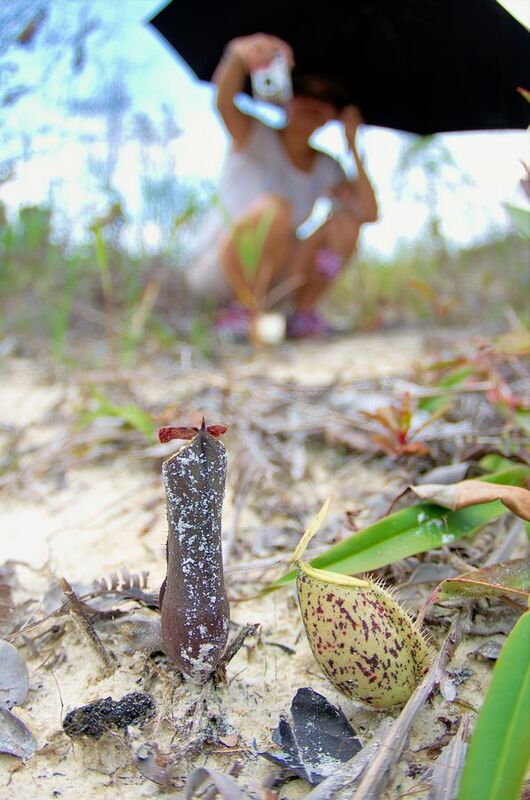 I just started writing my second book - this one about our life in Borneo - and realized that the first 10.000 words are about little else than pitcher plants. Anyway, watch this space. Someone told me a great spot for veitchiis the other day - guess where we'll have a family picnic on Saturday! Because it is a different species, with different ecological needs. 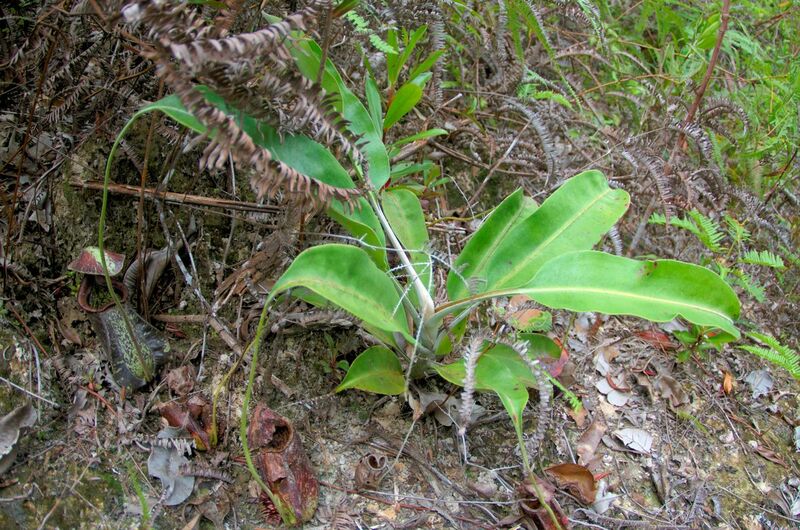 Plants with purple under the leaves strictly live in the shade. The light that makes it through the first time gets reflected back into the leaf from the purple underside, making it a more efficient light collector in the shade it prefers/needs. 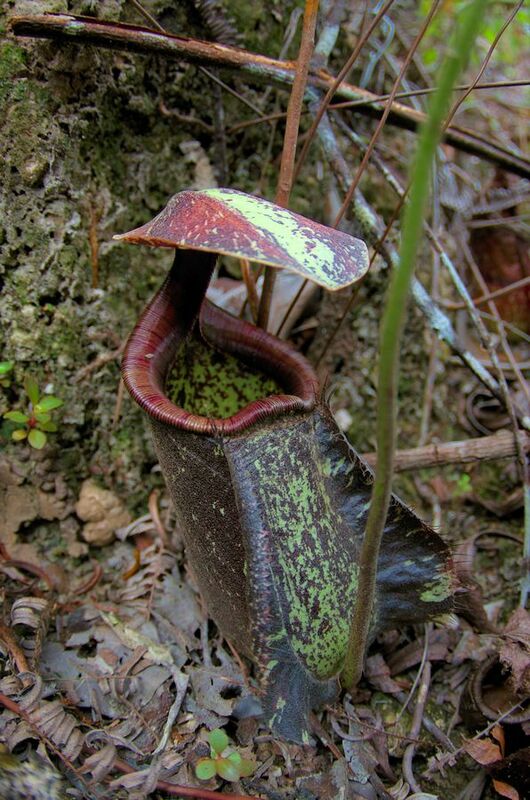 Nepenthes are colonizers and they do not compete with other kinds of vegetation. 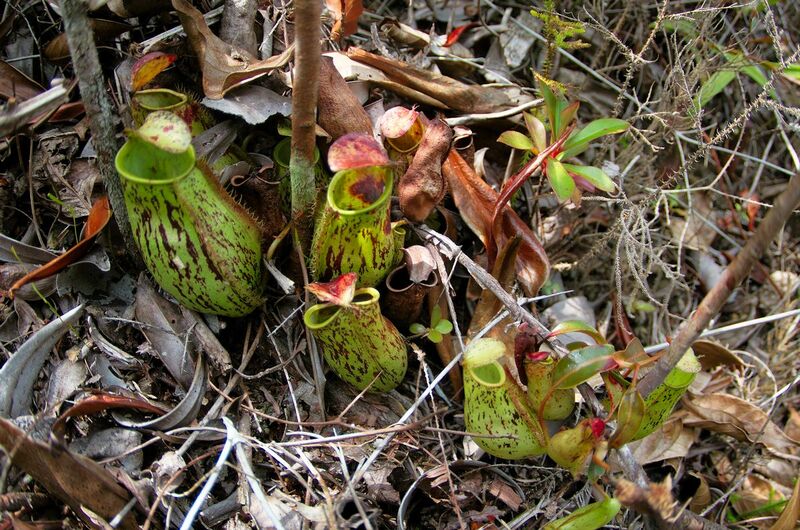 This is why I find it actually funny anyone can consider a pitcher plant species to be "invasive"--that is an oxymoron. The grow so slowly, they have to eat bugs to keep up with the surrounding vegetation and how can someone think it can out compete something??? 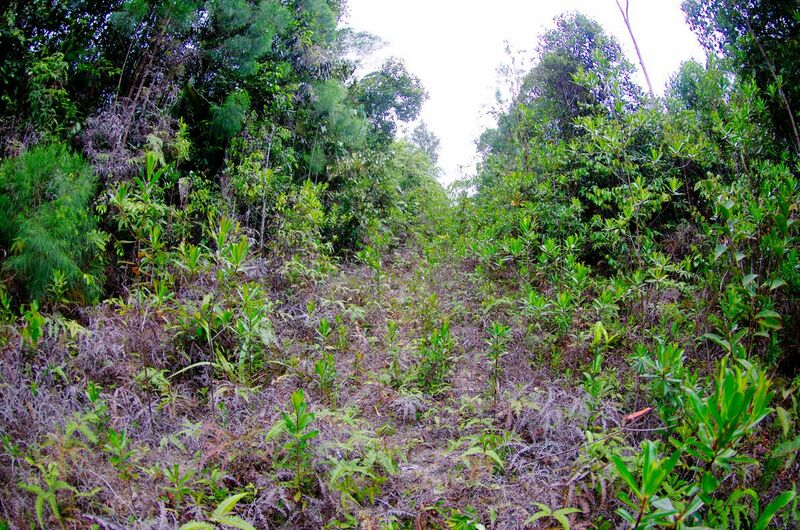 On Kinabalu, the best places to find seedling rajahs is where ever there has been a landslide and all the competing plants have been removed. Well established roots, also the humidity is very nice for them. The Greenhouse Effect will fry anything, just ask Venus. thank you very much for your excellent answers and for welcoming me back to SanityLand. "Sanity" is probably exactly the right term. 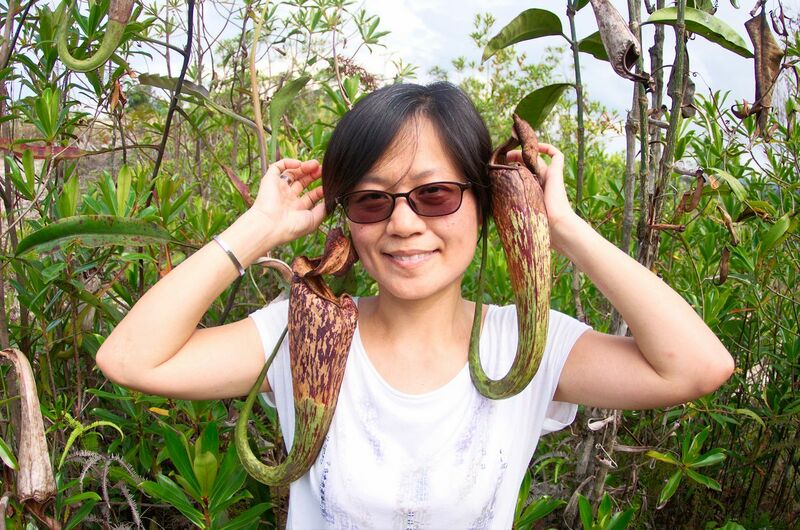 I've indeed come full circle, but after four years of life in Borneo, and eight years as a hobby herpetologist, I'm happy to say that my love for Nepenthes today is much purer, more natural. Gone is that crazy addiction, that destructive collector's madness I displayed back in my greenhouse days. 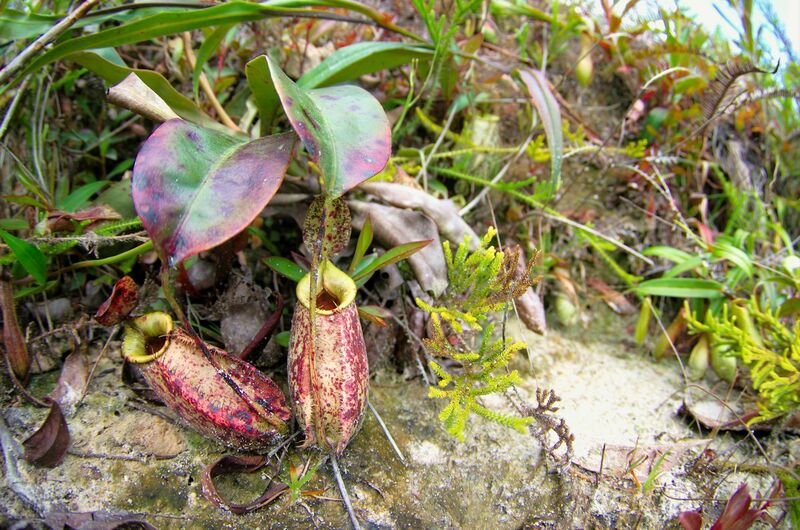 Today, I'm happiest when standing in a nice spot surrounded by lovely pitchers and orchids (hell, even begonias! 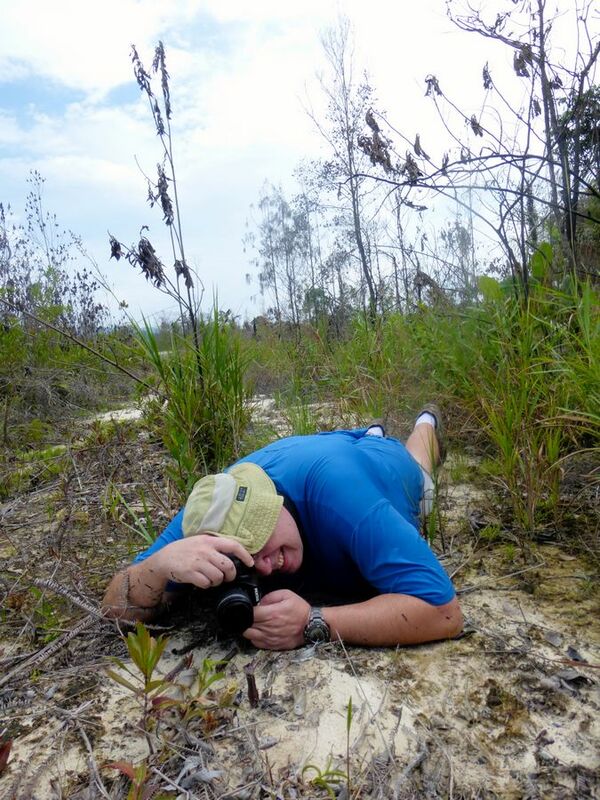 ), and if that spot also grants me the occasional sight of a rare bird (as happened two weeks ago with a male Scarlet-breasted Flowerpecker) or any of the weird invertebrates the island is so rich in, or - jackpot of jackpots! - a nice snake, then I'm in heaven. I don't feel the need that any of these creatures have to BELONG to me anymore, and I would find them terribly boring indeed if they were captives in my house (I tried snake keeping for a while - bored the hell out of me). 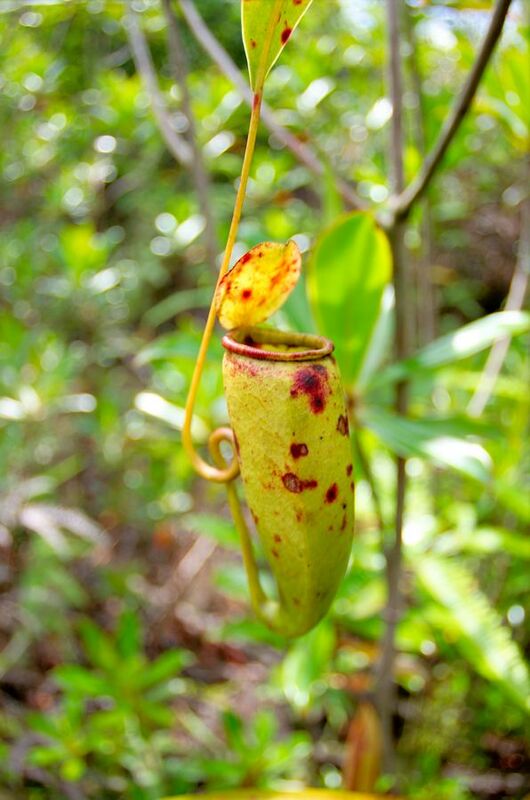 The main reason why my first visit to Borneo (Nepenthes Summit 2007) completely killed my affection for my plants at home was the commensals, the infauna, the general interaction of the plants with their natural surroundings in the wild. There was an unmitigated, raw, and powerful life force present, manifested in a million things, from microhylid frogs making their home inside ampullaria pitchers, to rafflesianas and even gracilis climbing and seemingly choking entire trees, and I realized rather quickly that I would never be able to achieve even a puny fraction of it in my greenhouse. 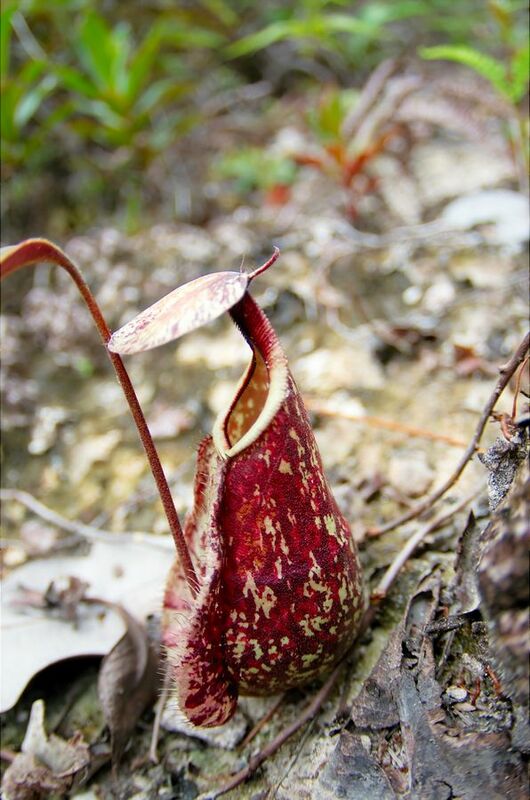 As a snake aficionado, I spend countless nights in the forest, and I've had the great fortune to witness Nepenthes pitchers serve as hunting grounds - coral snakes looking for frogs, giant centipedes chasing insects, scavenging insects foraging for bodies. Words can't describe what I feel when I see things like that. They bring back that awesome ability to marvel in wonder, an ability most people lose as they approach adulthood.